Once the first year of ownership passes, most homeowners are faced with the decision of whether or not to renew a home warranty. 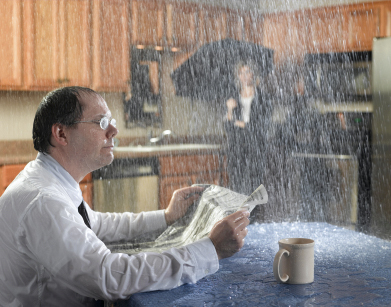 Home warranties offer some protection in the event of major systems breaking down, but they have some important coverage limitations that home owners need to be aware of. Hopefully, nothing breaks down during that first year. That means you should be safe not investing in the renewal for the warranty, right? Here are some concepts to consider before you make that decision. The life expectancy of your appliances will inform you as to whether you should renew your home warranty or not. The basic warranty also might not cover certain systems, like the roof or the air conditioner. If these systems are at or near their lifespan, a warranty will be an important remedy for replacing them should they fail on you. Especially if you utilized most of your available liquid cash to buy the home. Another reason is to hedge against the bet something might happen. For example, you can buy a warranty to protect you from something going wrong while investing money into a savings account so you won’t need to renew a third time. Homeowners have the option to buy a home warranty at any point in the lifetime ownership of the home, in most cases. What becomes tricky is the pre-existing condition aspect of the warranty. If you buy a warranty and something goes wrong within a few months, coverage may be difficult to come by. Bio: Kuba Jewgieniew founded Realty ONE Group in the early 2000s in Nevada. Today, the company has added offices to Arizona and California.